Nikki Dodson is care partner for her husband Ken who has younger-onset Alzheimer’s disease. They are both 37 years old. We spoke to them about their reality of being a young family with a very unique story and a huge passion for ending Alzheimer’s. Ken received his Alzheimer’s diagnosis a week before his 30th birthday. Needless to say, it was a very difficult time. Even gaining access to some Alzheimer’s informative resources has been hard due to Ken’s young age. Grants have to follow specific guidelines related to the federal budget, and a lot of programs are senior-based. There are many programs to teach children about grandma and grandpa having Alzheimer’s, but not mom and dad. So many doors were closed to us, and we heard so many no’s. Suddenly I was in the position of earning our primary income because Ken had to stop working. We didn’t live above our means, but we lived to our means. We are not materialistic people, but the things we had we worked very hard for. We have also made it a goal to teach our children that education and working hard is important. To provide for our family after Ken’s diagnosis, we had to sell our belongings piece by piece just to make house payment and put gas in the car. There was even a case worker that told us to get divorced so we could get more money. Alzheimer’s is a grieving process throughout; you are losing a loved one daily. I have three kids, a husband and a petting zoo at home, so I just try to make the best of each day, even if I have to dig deep and then deeper to make it all work. I do that for my family. The most important thing is to build a strong support group; it carries you. Nikki is by far my strongest supporter. At first I tried not talking about it, putting it out of the way, but it sunk in one day that if something isn’t done, my kids will be going through the same thing I am going through. People need to know the truths about Alzheimer’s. They need to know that this is not an old person’s disease. They need to know that this is a fatal illness. If you don’t know the truth, you aren’t helping yourself or your family. I didn’t want to know, but if you don’t start talking about it, it’s never going to change. It can bankrupt the whole economy the way it is going. Something definitely has to be done. There is the stigma that it’s an old person’s disease which happens with age…that you expect it, or see it coming. That isn’t the case. This is not an elderly disease. You watch some of the smartest people robbed of their dignity and independence. Ken notices the changes and sees where he is struggling, and that is why this middle part is the hardest. He now has to second guess himself or look to me for guidance regarding things he has been doing on his own his whole life. It not only affects the person with the disease; it affects the whole family dynamic. It has a ripple effect, but I refuse to let this disease win, even though I know what it’s doing. It is hard and some days I want to give up. But I also have met some of the most amazing people. The Alzheimer’s Association knows us and our family, and it feels like an extended part of our family. Lauren Miller Rogen and Seth Rogen have done so much for us and helped us tell our story through the documentary film “This is Alzheimer’s.” I feel like I was a good person before Ken’s diagnosis, but my compassion truly came out with it. I realized that I could live in a personal hell of anger and frustration or I could make a difference. We have made it our focus to educate people, and I respond to hundreds of emails and social media contacts weekly. Someone I know recently used the phrase “passion for compassion.” I love that. An ordinary person can do extraordinary things, and that is what we are trying to do. We are taking this negative and turning it into a positive. 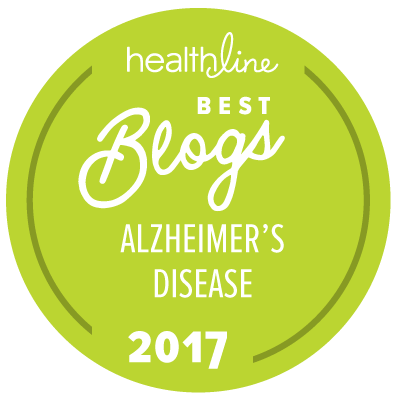 By sharing our story, we are helping to raise awareness and uncover the truths about Alzheimer’s. Alzheimers Disease will not increase the cost of health care for the government one penny. Why? Because the cost is being born by the individual and their family. Families need assistance, financial and emotional that will not bankrupt them. Quite shocking to read that Ken was diagnosed at age 30. He and Nikki are to be congratulated for their refusal to take this lying down, and their vow to live well and be amazing for as long as possible. I wish them well on their journey. My thoughts and prayers go out to Ken, Nikki, and their whole family. Alzheimer's is not just a disease of the elderly, and a cure needs to be found! care of her–she would progress to a different/new stage. That is so true – Mary Ann! My mom was diagnosed at age 75 and passed at age 79. We had a hard time keeping up with the stages as she declined very quickly. I do think that she was definitely showing signs before diagnosis. While I miss her terribly, I am grateful that she is now whole again, and with all of the loved ones she longed to find while under the influence of the disease. My thoughts and prayers are with anyone navigating this difficult disease! I can empathize with Nikki and Ken when they said there is almost nothing out there on how to help children cope with this disease in a parent. Our daughter was 9 when my husband got the "official" diagnosis at age 59. He moved to Assisted Living when she was 13. It was/is so hard—he no longer recognizes or remembers either one of us. One really great idea I read was to have your children create a "memory box" –just a shoebox with photos and objects in it that bring back happy memories of times with the afflicted parent. Hello Nikki. My name is George Hoffmann and my wife was diagnosed with the disease at age 42. The same age as her Father. My wife Elisa inherited the disease through the gene her Dad had. My wife will be 47 in October and she was an amazing school teacher. It is very difficult when you have to provide and care for your loved. There are no resources financially to help you care for your partner. It is just so difficult financially to take care of my wife. We have two children who are grown but it just hurts everyone to watch this disease. Praying for you and your family and I agree older people are not the only ones who get AlZheimers Disease. Just be strong and keep the faith. Believe me it is difficult and yet frustrating at times. God bless!! What an amazing story. You are an inspiration to all of us who are caring for someone with Alzheimer's disease. I have a passion for compassion too and will be walking in Philly again this year to raise money for awareness and a cure. My husband was diagnosed with Early Onset Alzheimer's at age 57, the same age as his mother was when she was diagnosed. She died at 69. We went through all the same difficulties with finances, no health insurance and some days no food. I don't understand why Medicaid will pay thousands more to keep a person with dementia in a facility but won't pay for home care. It is ridiculous. My husband is now 59. My heart goes out to you and your family. I am a caregiver for my husband of 57 yrs. He is 77 yrs. old and was diagnosed 4 yrs, ago. I can't imagine what it would have meant to have the diagnosis at such a young age. I send you thoughts and many prayers for your journey that lies ahead!! My prayers are with you. My husband of 31 years passed 53 days ago. He was diagnosed in 2009 at the age of 66. I was blessed that I was able to keep Gene at home the whole time, it was so difficult in the beginning not know anything about the disease but I read everything I could, went to every conference and seminar available. I pray you are able to stay together and cherish each moment. This is so heartbreaking to read. My mother passed away in March 2015 from Alzheimer's, she was 76. Her official diagnosis came in April 2013. We feel she was lucky to not have suffered for a lengthy time. Although any time with this horrible disease is too long, I feel for people and their families that suffer for many, many years. I pray everyday that they find a cure so that the next generations do not have to go through this pain. My mother was also fortunate enough to have Long term health care, otherwise I don't know what we would have done. This is a powerful yet tragic story you have shared with us Nikki of your darling husband Ken. It is so difficult for all your family emotionally and very much financially. My husband was diagnosed in his early 60’s. John has remained living with me for 10 years now sadly I have had to place him in a nursing home. However, he is so happy because it is a wonderful nursing home. I am so fortunate. Beecroft nursing home in Beecroft, N.S.W. Australia It is like a home really. The nursing is brilliant. However, living at home and then going to the nursing home has left me with not much money either. I try to have adventure with dementia. We go out in the car and I take sandwiches, etc. we go for walks. We meet people and they talk to us. So many have had their loved ones with with dementia. We all have to support each other and I think of your journey ahead Nikki, Ken and your children as well. This journey seems to bring us to close to our love ones. It is amazing. With the recent revelation that Kris Kristofferson, who had been diagnosed with dementia, actually has Lyme Disease, it seems that all of us might want to consider a re-evaluation and additional testing for ourselves or our loved ones. For years Kris was taking medications for the dementia. When the medications were stopped and treatment for Lyme Disease began,, he "came back." I hope his story is heard by others who might benefit. Ken & Nikki – Such a cruel disease. I was diagnosed with early onset 3 yrs. ago at age 57. I was also diagnosed with bipolar I disorder 11 yrs. ago. ALZ & bipolar 1 share some behavioral characteristics & some ALZ symptoms trigger bipolar behaviors such as anger. Even though my bipolar is treated, I struggled to maintain a close relationship with my youngest son who was 5 when I was diagnosed with bipolar disorder & 13 at the time of my early onset diagnosis. As a result my marriage to the love of my life began to unravel. We had a 19 yr. age difference but it never mattered until my diagnosis. The stress on our marriage from bipolar behaviors was challenging but the early onset diagnosis added stress & became too much for our marriage to survive. We were divorced just this past spring. The age difference left her to wonder what would become of her when I’m gone & my son leaves home starting his own future. It sounds cold but it’s difficult to understand what the caregiver is going through while you’re transitioning through ALZ. Sadly, she felt like she had to move on. What I want to comment on is how important the caregiver is to the afflicted. Oh sure there are all the challenges of everyday life & the extra responsibilities but there’s also the grief, anger, uncertainty & fear. I really can’t begin to understand the difficulties of the caregiver. What I do know is that compassion is needed & that love & support is the best answer. That same love & compassion extends beyond the caregiver. The caregiver needs love & compassion too. Family has to be all in to support both the ALZ patient & the caregiver. As caregiver, during the transition & while the patient still knows the people around them there is no substitute for that caregiver’s love, touch & reassurance that you’ll always be there with them. I don’t have that & can tell you that it means everything. The & same is true for the extended family love for the caregiver. Reach out for that love & support for you are a victim too. Nikki you are a brave & loving, compassionate soul & I can assure you that Ken could not go through this without the love you have for him. Prayers for both of you & your families. Ken & Nikki, I am so sorry you are going through this at such a young age. My husband was diagnosed at age 52. His father passed at the age of 65 with both Alzheimers and ALS and I know his father’s mother also had dementia at an early age. I get so frustrated when I hear things like the government is trying to approve 1.9 billion dollars for research on the Zika virus that just came to light but they have difficulty approving another $350 million for Alzheimers. I also feel that they need to look at tax relief or early social security benefits for the caregivers of Alzheimer’s patients. I will not be eligible for social security for another 10-12 years yet my husband has been unable to work for the last year and a half and I am sure that within the next 3 years I will need to quit working to care for him at home and our income will be greatly reduced. But we live in today and we make it a point to take family vacations at least every 2 years with our three daughters and their families and will continue to do so as long as we can. I want my grandchildren to know their grandpa as well as possible. Thank you all for all your love, support and encouragment! To all that have been affected by this disease I commend you for being strong! I ask that you continue to pray for our family, other families and continue to stand by our side to fight this disease together! Though this diseas is horrific the Alzheimer’s community has been amazing during this difficult journey! I will continue to stand by Ken tell our story and be the Voice that needs to be heard! We hope that the upcoming documentary and the children’s book about Alzheimer’s will help so many other families until this disease is something of the past and is no longer taking the future of our loved ones! Great inspirational story for so many that needed to hear they too can have hope in still living a memorable life together thru this disease! Thanks Nikki & family for always being open doors into y'all's life! That is an amazing story you can't get through this without support. I wouldlike to be able to comment on all issues please tell me what I need to do. Hi Ken and Nikki. Thank you so much for sharing your story. I, too found the most amazing support through the Alzheimer’s Association. My mom is 56. She was diagnosed at 53, but showed symptoms much earlier. I have a 5 year old. Every weekend the three of us hang out so my daughter and her granny can bond. My mom was so excited to be a grandma it breaks my heart that she can’t do it the way she envisioned. Anyway, thank you again for the story. I know it is not easy to talk about, but if it weren’t for people like you, I would feel so lost and alone. Let’s find the cure! My heart goes out to this couple. Enjoy each day as much as you can. Blessings! My heart goes out to you. I lost my husband to Alzheimer's but he was in his 70's. I don't know how you deal with this. I wish I could help in some way. My prayers are with you and your children. God bless. Thanks for sharing this story. Real stories are very inspirational. I agree with Ken that a strong support group is a very important thing. Being a caregiver is hard, but it can be easier when it is done from heart, from the loving heart and Nikki is a great example here. Thank you for sharing your story, Nikki and Ken, and also for showing that Alzheimer's affects everyone, both old and young. No matter what, it takes someone with a loving and open heart to be a caregiver. I am in awe at your courage, both of you. I am newly diagnosed – but unlike you, I have had a long life as I am 78. Your situation has caused me to put my sadness in perspective and I will try to live each day as well as I can. I worry about my 78 year old husband who has Parkinson's disease but we will to our best. I am adding both of you to my lengthening prayer list. Hi, it's good to see progress being made toward ending Alzheimer's! My mom is at about stage 4 and the decline is very noticeable at this point. My siblings and I have noticed that a near vegetarian diet and regular time outside helps slow the mental decline. A near vegetarian diet with almost no dairy also helps tremendously in preventing Alzheimer's. Doctor's T. Colin Campbell, John McDougall, Joel Fuhrman, and Neal Barnard have written and lectured of the benefits of a plant-based diet in optimizing cognitive functioning. This information has been helpful as we have gone through the rollercoaster and jumped the hoops with my mom. It's good that the word is getting out there! It's definitely a tough road having a loved one with Alzheimer's. My husband is 58 and was diagnosed with aphasia four years ago. Recently diagnosis changed to frontal lobe dementia. My heart goes out to both of you. It is difficult to slowly lose your family member but we chose to live one day at a time and enjoy our life together. My Father, John, recently passed away. John had suffered from Alzheimer’s since 2007. The heartache of seeing your Father suffer from this disease is difficult to describe, particularly when you had a very special bond and rare closeness with such an incredible man. My Father’s new wife, my Stepmother, thought it best to send to me every photo and card my Fsther had of me and from me – at the same time I was advised he had dementia. Thus, my Father had no photos of me while losing his memory of me – his only child. My Stepmother also thought it best to not advise me where he was gong for respite each day for many years. It took me many days of investigation and visiting respite centres to find him. She also neglected to advise me of his death recently or invite me to his funeral. As a child of someone suffering this disease – I hope nobody has to go through what I have been through when a new partner severs the relationship between their partner and partner’s children. Inspiring and exciting story. Thanks for sharing! You are truly inspiring. Thank you for sharing your story. My husband was officially diagnosed with PCA at 50, just a few months ago, and is well into the moderate stage. I, too, am the financial supporter of the family and wonder what I will do when he needs more care. Our position is not an east one. Hang in there.